"Harmful pesticides like Atrazine flow from croplands to rivers where these amphibians live and reproduce. Numerous scientific studies have shown that Atrazine causes cancer in laboratory mammals and developmental problems in amphibians and fish." Thanks Jennifer. Signed and noted. Noted and signed! I LOVE our precious frogs!! 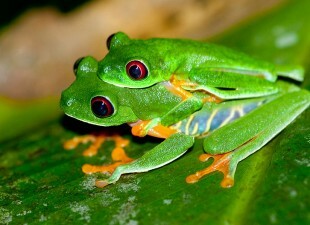 Jennifer, thank you for letting other Care2 members about this petition on Forcechange.com Frogs aren't cute or cuddly, but they are an imprtant part of the world's ecosystems and eserve a chance to survive. I also signed petitions for some other worthy causes while I was on Forcechange and I hope other Care2 members will as well..